Boxcar Heather was born sometime in 1882. Her exact date of birth is unknown. She was found in a potato barrel by a kindly, old farmer who allowed her to work as a scarecrow in his fields until the age of 5 when he died tragically in a pie-eating contest. 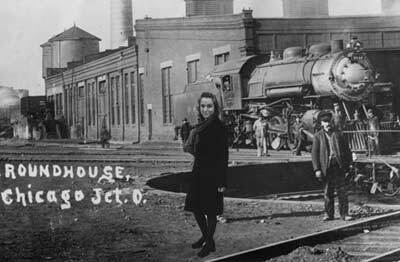 The farmer’s wife then sold Boxcar Heather to a travelling circus where she was featured in the freak show as “The Amazing 3 Legged Goat Girl,” but after losing her third leg in a bar fight, she was out of a job and took to riding the rails and living in train yards. Some of the observations that you made in your posts is truly amazing! I look at them the same way but never thought of writing it… well done!! !